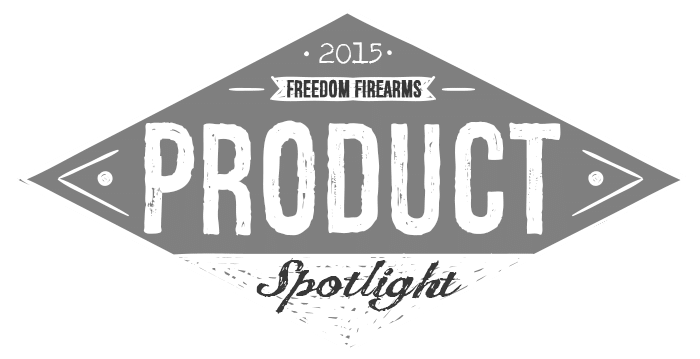 Since 2012, Taran Tactical Innovations is a world leader in competition-based firearms and accessories. Drawing from decades of experience in the competition world as a National and World champion, Taran Butler has brought his ideas of firearm perfection into all aspects of the industry. Stemming from the core principles of quality products and world-class support, Taran Tactical Innovations pursues perfection in all aspects. BCM(Bravo Company Manufacturing) was founded in 2005 by a veteran United States Marine in Hartland, Wisconsin, where the company maintains its HQ today. Each STI gun is handcrafted by a certiﬁed gunsmith and goes through over 30 quality checks before it leaves the building. STI uses only the highest quality parts available throughout the builds. Each sear and hammer is EDM wire cut, which is an innovation that helped STI make a name for itself years ago. Every part that STI manufactures is built to oversized tolerances so they can be hand ﬁt to each individual gun. Each gun is fully function tested and meticulously inspected for any blemishes. The completed STI gun represents some of the ﬁnest in handgun custom quality, performance and accuracy. Noveske Rifleworks was founded by John Noveske in 2001. Noveske is most known for producing military and competition grade barrels. The company sells such products as the KX3 muzzle break, KX5 muzzle brake, the NSR rail system, and the Switchblock gas block system. The Noveske Rifleworks operations is located at Grants Pass, Oregon. The company maintains several patents on their barrel manufacturing process, such as “Noveske Rifleworks extreme duty machine gun barrel”. Noveske is known to primarily manufacture AR-15 rifles and rifle components. Oakley’s partnership with the U.S. Armed Forces began in the 1980’s. The alliance was formed to develop new technologies that improve the safety, performance and comfort of our soldiers and safety professionals. An obsession with research and development continues to produce combat ready equipment for those whose lives depend on their gear – and we are honored to earn the respect of the world’s best. For over 25 years we have been leading the pack in Tactical Shotgun upgrades and accessories by providing innovative products that are designed with quality and reliability in mind. Our patented system of shotgun modifications allow our firearms to deliver the tightest-grouping, softest-recoiling 12ga shotguns in the world. Combined with our shotgun accessories which add function and usability, the Vang Comp barrel system has become a go-to upgrade for military personnel, government agencies and local law enforcement all over the country. All Vang Comp products are made in the USA and carry a lifetime guarantee. Quality. Design. Relentless Irreverence. A strong lust for fatty pork products. These are the hallmarks of Patrol Incident Gear. PIG products are sought after by professional warfighters and sheep dogs alike, because of our innovations and in spite of our F-U lifestyle. Our tactical gear is use with our nation’s most elite Special Mission Units- some of which are custom design projects that will never be seen in the public eye. PIG gear has helped keep our good guys alive, and the bad guys from ever fighting again- all with looks that make girls swoon. If you’re looking for a brand that not only produces superior tactical gear, but espouses your unapologetically American values, then get ready to fall in love with our tactical nylon marvels. We hope you enjoy exploring our website, and we look forward to supplying you with world-class kit!! !